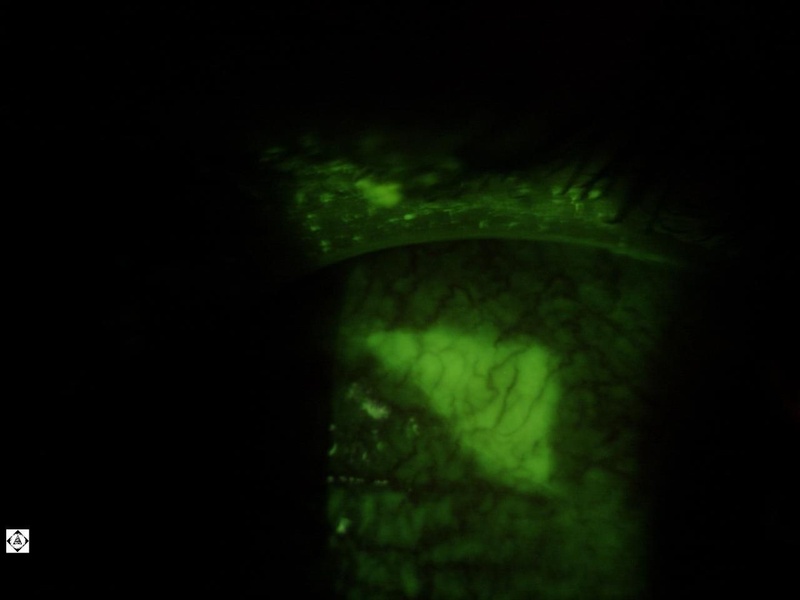 This is an abrasion on the conjunctiva of a teenage girl who complained to her mother that her eye was irritated after an Arizona dust storm. When I first looked at her the abrasion was not apparent but the area was very red. Upon dye instillation and Wratten filter the abrasion revealed itself.